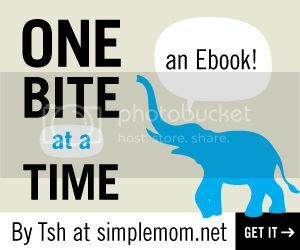 If you’ve been online at all in the past several weeks, you’ve probably come across a review or piece on the new book Bringing Up Bebe: One American Mother Discovers the Wisdom of French Parenting . It seemed that many of my favorite bloggers were offering their opinions, and I had to get a copy. When I first heard about the book, I was immediately intrigued. How parenting habits and customs differ across cultures is a topic that is fascinating to me. Also, I had read several negative things about the book, especially from natural/attachment parenting types, and yet others were singing the book’s praises. The controversy also got my curiosity up. I ordered a copy and the day it arrived in the mail, I had finished it by late afternoon. I simply couldn’t put it down. Firstly, I was struck with how much of the book’s content I wholeheartedly agreed with. As I mentioned, some bloggers had mentioned the book in negative terms. But now I wonder whether they had actually taken the time to read it. To be fair, according to the author Pamela Druckerman, practices such as natural childbirth, cosleeping and long term breastfeeding are generally not practiced in France. I think that’s why many attachment parenting proponents would be turned off, tout de suite, and not give the rest of the book open-minded consideration. To be specific, French children are taught to always speak to adults. A child who doesn’t greet an adult in their presence is said to have “no upbringing”, and may be considered a bad influence. This training is something that seems sadly lacking in a lot of families. As an example, the other day an older gentleman came to my home to pick up the 3 children that were staying with us. When he walked in the door, my oldest warmly and enthusiastically bade him Good Morning, and my next oldest offered him coffee. (The other children were not up yet.) Two of the visiting kids never bothered to speak to him or really acknowledge his presence until they needed his help with something. That was appalling to me. I was a very shy child, and it was almost painful for me to speak to people I didn’t know well, especially adults. But I was expected to do so, and I did it. As a result, my friend’s parents didn’t think I was a snob, or rude. When children come to my home and speak to me and acknowledge my presence, they are welcome to come back, even if their behavior isn’t perfect. French children are taught to wait patiently for things, and not to interrupt others. Why isn’t this something all parents value? I do not allow my children (past the toddler years) to interrupt me when I’m talking to my husband. Another aspect of the good manners that French parents teach their children is proper behavior at the table. (The book’s title in England is French Children Don’t Throw Food.) With 6 kids eating and conversing at the table in my home, it’s easy for things to get a little too boisterous. But I do not allow playing with food, saying rudely negative things about food (they may tell me they don’t prefer that food, but only after saying something positive), making faces, playing/reading while eating, or other behaviors I deem inappropriate at the table. And although I have one picky child, she is expected to eat one bite of foods she doesn’t prefer. There are no children that eat only chicken nuggets and fries at my table either. Tonight, we had scallops in a lemon butter sauce, cauliflower with tomatoes and feta cheese, and a 3 bean salad with greens. French toddlers and young children are expected to eat a wide variety of foods (not a monotonous “white diet”) and to behave themselves appropriately at table, and so they do! Another thing about food: French children eat 3 meals a day, and one snack at around 4:30. Because they come to the table hungry, they’re less likely to play with or turn up their nose at food. Since becoming a mom, I’ve always thought it was odd the way most women around me carried snacks in their purses and diaper bags for their children to nosh on constantly. When I leave the house, I don’t carry anything except perhaps some water in summertime. If the kids get hungry, they can wait until we get home (if I leave and know I’ll be out during a mealtime, I’ll spring for food out). * French mothers don’t forget that they are woman first, mom second. This is something that has evolved in my own mothering journey over time. It’s very easy to lose yourself in mothering with your first child. But at this stage in my life, I’m keenly aware that motherhood is a temp gig. It won’t last forever, and if children are the only thing you live for, what will you do when they leave your home to pursue their own lives? The entire point of parenthood is to prepare children for this eventuality: that they will become adults with separate lives. For French women, this balance means several things. It means not using pregnancy as an excuse to gain tons of weight (and keep it), giving up one’s interests and passions, or neglecting adult time. I have often noted that it’s a shame the way so many American moms let themselves go after having a child. They use the baby as an excuse to leave the house with dirty hair, sweatpants, and jogging shoes. I don’t think I’ve ever owned a pair of sweatpants, and if I did I certainly wouldn’t wear them to the grocery store. The ponytail/ill fitting pants/athletic shoe seems to be the standard mom uniform around here, and it’s a shame. French women will show up at the playground with skinny jeans and pumps, and I say more power to them! When it comes to combining a career and motherhood, there are many social services in France that are unavailable here in the US that make it FAR easier for a woman to pursue paid work if she wishes to. (For instance, extremely high quality, government subsidized child care.) I have written in the past about the dangers of economic dependence for women. Even though I have chosen to be a stay at home mom since my first child was born, I do not believe that it is wise for a woman to depend entirely on a man for financial support. * French moms avoid “over mothering”. This was one of my favorite themes in the book. The smother mother/helicopter parenting trend is so annoying to me. Hubby and I always share a private giggle when we go to the playground and observe the parents who cannot let their children play because they are so busy providing a running commentary of Johnny’s every.single.move. I call them “the self esteem police” because it’s as if the parent thinks that by praising their child every moment for the most ordinary of activities (like playing!?) they will “build” their self image. That’s patently false, for one. It simply doesn’t work. It’s something some American parents do because they heard somewhere that praise was good. (So constant, ridiculous praise must be really good!) Secondly, it’s pathetic and obnoxious as hell. I’ve noticed that many parents are uncomfortable with being in authority. They are almost apologetic about it. In my observation, this is especially a problem among attachment parenting proponents. They have a hard time practicing gentle discipline without abdicating their authority. By contrast, Christian parents generally aren’t, because they view themselves as having been given authority by God to teach and train their kids. French parents refer to something called the “cadre”, or framework. In a nutshell it refers to proper boundaries. The cadre is firm and non-negotiable, but inside the frame the child has lots of freedom. This sounds like a perfect balance to me. “Non” means no, which means a child doesn’t have to constantly test and push the boundary, saving both the parent and child emotional wear and tear. Children who know this have more time and energy to devote to the important business of childhood. They’re less stressed, and happier. The only problem with this book? It made me want to move to France. Of course, with my homeschooling, homebirthing, long term breastfeeding ways, I would probably be seen as a freak of nature and it would likely be difficult to make friends. But the cafes! Have you read Bringing Up Bebe? What were your thoughts? This entry was posted in Mothering and tagged book reviews, french parenting. Bookmark the permalink. So you totally called me out Jogging pants, dirty hair and pony tail…yep that’s me Great review, thoroughly enjoyed your opinions on the book. I live in Germany, near the border to France, and I go to France often. I always notice how well-behaved the French children are. I wonder, however, whether this is not the result of respect but of simple drill. You know, homeschooling is illegal in France. 95 % of the children got to maternity school, which starts at the age of 3, and about 50 % of the one year olds are in a public nursery. Parents and children don´t see much of each other, at least during the week. I certainly would not have liked this with my children. I agree, I wouldn’t be happy with sending my baby off to a creche at 9 months and school at 3 either. I didn’t know homeschooling was illegal in France. I certainly don’t agree with their politics! Thanks for the article Carrie. I think my parenting is more along the French way. When adults come over they do enjoy my children (not all the time though so we could work on it). Thanks so much for this, you have such a gift for writing. I always feel like I am right besides you in the moment. I haven’t read the book, but it does sound like you and I have the same opinion on ‘French parenting’. I am a breastfeeding, cosleeping, cloth diapering, homeschooling mama, but I raise my children to have manners and it is very high on my priority list. At our local playground we see the same kids over and over again, I know of only two or three families whose kids behave well, talk to adults, share, and the adults are there to help them learn these manners. Everyone else (that would be about 80%) is so ill mannered it hurts. The parents just sit there and watch and don’t say a word. I prefer being there when the ‘good’ kids come or just by ourselves. Sad, but I don’t want my kids just like every other ‘typical’ American that think the world revolves around them. What’s up with 10 year old boys taking the ball away from my 3 year old? Or tweens/teens running to playground to get the swings first and watch my little one cry as they take over the playground? Manners? Apparently not in the USA. Sorry, had to vent, lol! I visited France years ago, and remember fondly how I’d seen a pregnant woman in a stretchy, fitted long dress, accentuating every curve, and I thought how neat it was that her pregnant body was to be celebrated and deemed attractive. Here we tend to want to hide our bellies and sport baggy clothes. I have not read the book, but I am curious. Not a bad idea to step back and wonder why we do things the ways we do and consider other perspectives.